This incredible meditation process is designed to help you get rid of any limiting decisions and negative beliefs about yourself so that you can get inspired, stay motivated and get out there and really LIVE! Think about it. The quality of decisions that you have made in your life up until this day, have determined the quality of your life. So, what kind of life do you want from now on and what kind of decisions do you need to make to get you there? So what is a limiting decision? It’s a limiting statement about yourself that holds you back in some way. Have you ever said to yourself “I’m not good enough”, “I’ll never make enough money” and “I’m not smart enough”. No doubt, these sound familiar to you and they are prime examples of limiting decisions. At some point in your childhood you made that decision that you weren’t smart enough. A negative belief is simply when those decisions like “I’m not smart enough” become our beliefs. Over the years, you would have filtered information to confirm that you weren’t smart enough at something and therefore it becomes an inbuilt belief. The GOOD NEWS is that you can reprogram these beliefs and the BELIEF BUSTER audio can help you. 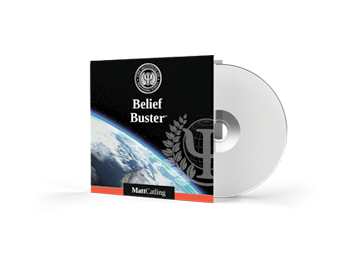 Download the BELIEF BUSTER audio now and start busting those beliefs and create new, positive beliefs to help you shine!